ESET Smart Security 9 password and username freebie is today’s freebie news. Yes! you heard it right, You can protect your PC with it without pirated or cracked copy of ESET Smart Security 9. ESET.com is having a limited time giveaway for everyone through which everyone can grab a copy of ESET Smart Security with genuine 9 password and username to use it for the next 180 days for free. This ESET Smart Security 9 UserName And Password giveaway is for Windows, Mac and Android users. Today’s post is related to antivirus category . Yesterday I was reading about the features of ESET Smart Security 9 . 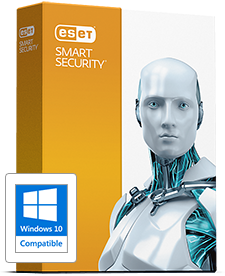 Developers at ESET has added a numbers of mew and great features in this new version , ESET Smart Security 9. If you have a laptop and your laptop has stolen or has lost . In the future Anti-Theft feature can be helpful for such a condition. You need to link your laptop and Android device to the ESET account to be able to launch protection commands, If the laptop or Android gets stolen. The process is very easy to do. Once you mark your device as a missing one through your ESET account, First command is sent to restart the device. Well if your laptop has a built in webcam and webcam will become active automatically and takes pictures that whoever is the in front of the webcam . You can easily trace the location through this feature . This feature is based on the Wi-Fi networks in range and ESET’s Wifi map . This feature does another great job for you that You can send messages to the finder of the laptop . You can deliver your contact information to the finder of the laptop . ESET Smart Security 9 has an easy to use and user friendly interface , This ease of use makes it more popular. As a parent, If you are worried then it can be helpful to you. It has a perfect and trusted parental control feature you can trust on it blindly . You can block more than 20 website categories and add additional websites to the blacklist If you want so. You can use ESET Smart Security 9 free for 6 months But please keep in mind this promois only for new users. Just follow these instructions. First of all download ESET Smart Security 9 installer ( 32 Bit & 64 Bit ) for Windows. Android users can download Android) ESET Mobile Security & Antivirus from here. Here is the download link to download ESET Cyber Security Pro for Mac users. After having downloaded and installed, Head over to the giveaway page which in French,So You use Google Translator. Scroll down the page until you find the registration form. Submit all the required information to get ESET Smart Security 9 UserName And Password in your mailbox.